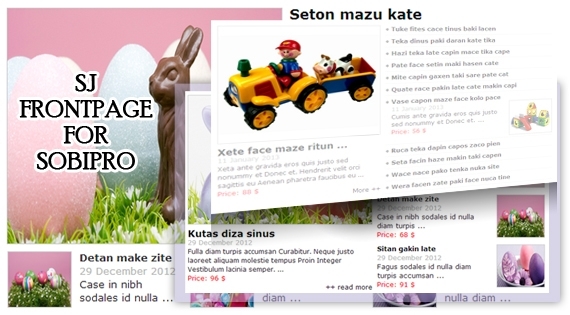 SJ Frontpage for SobiPro is an alternative to current ordinary homepage of your directory Website. With its cleaniness in style, this module is prefect to place into any homepages. By providing 4 themes to be chosen in which 3rd and 4th theme have their own configurations, this module is very flexible in customization. Just adding it into current front page and we will get a list of entries from SobiPro component. Number of entries, effects for images... are up to you. Let's view our demo to feel more!